Large and Heavy Duty Key Safe - The Keysecure KSDIGI weighs in at a hefty 1kg. 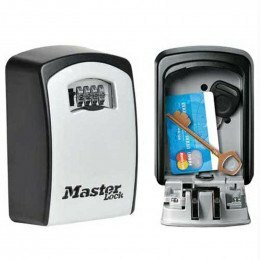 It comes complete with a reliable digital re-programmable combination lock and a removable rubber cover to protect the safe from the elements. 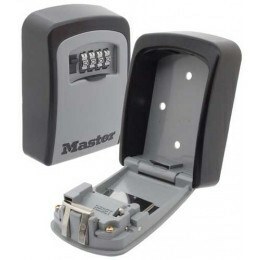 Ideal for use in holiday homes for guests, a spare keysafe and secure safe for access by carers to the elderly or infirm. Up to 5 standard mortise keys or 6-8 Yale style keys can be stored. 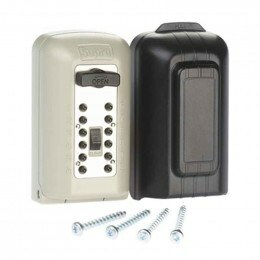 Keysecure KSDIGI is a heavy duty and large wall mounted key storage box that allows you to store keys for use by guests in holiday home, Carers visiting the elderly or infirm or just as a spare key in the event you lose or forget your keys to your home. The large Keysecure KSDIGI has a easy to use and program digital keypad and includes a rubber cover to protect the safe from our weather. Good little product although the instructions were a bit sparse and I had to ring them to sort a couple of things out. For use on outside wall of Village Hall to gain access. Chunky, solid construction. Hooks included to hang key rings. Large clear individual number buttons. Code can be up to 6 digits- 151,200 combinations! 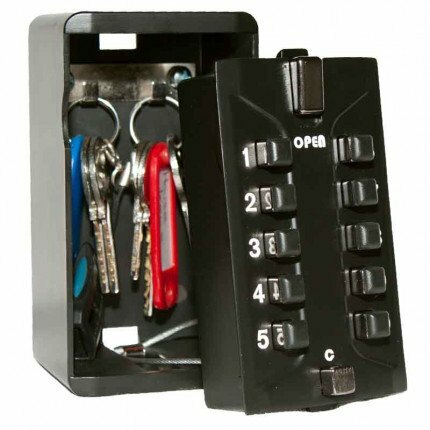 Good sized key safe that the keyring can also fit into, even though it's heavy and solid, we usually leave the lock part out until we need it, (cut the connecting cables off) which is safer in the place it is situated. Brilliant. Communication maintained throughout so I knew if there was a delay and reason why. Ideally you would use a 4, 5 or 6 digit code. You can use more or less but this is not recommended. After clearing the keypad of previous entries you can enter your programmed code in any order, due to this being a mechanical combination lock, as opposed to an electrical one. Full instructions are available for download on the product page in PDF format. can i fit 4 sets of car keys in the safe. This is difficult to answer as it depends on the size of the keys. Some transponders are quite large these days. However you could easily fit 5 standard mortise keys for a house door or 6-8 Yale style door keys. Does it have a plastic cover the protects the keypad ? 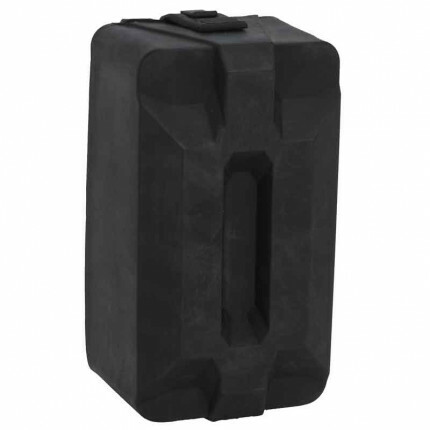 The Keysecure KSDIG1K has a removable rubber cover to protect the key safe from the worst of the weather. 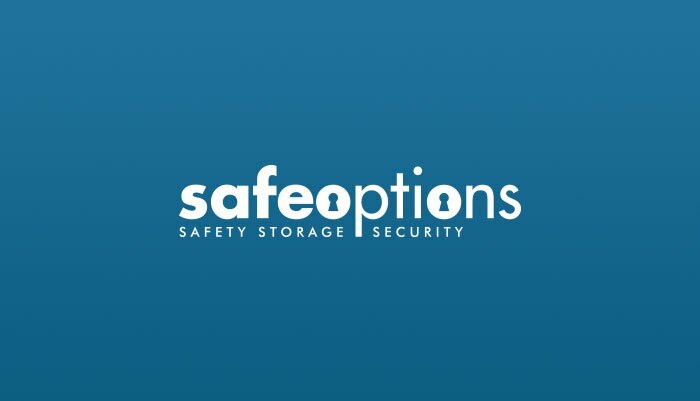 It is particularly suitable near the coast where salt in the air corrodes key safes very quickly. Can I fit 3 chubb style keys in here.? The length of each key is 81mm, width 7mm. 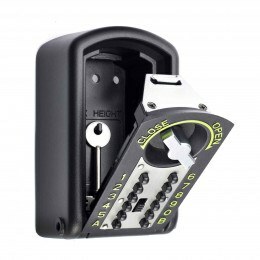 This outdoor key safe should be able to fit up to 5 standard mortise keys inside. In terms of the length, 81mm will certainly not pose any problem at all. It should take keys up to 100mm long. I assume that 7mm width is a typing error but the width in the key safe allows up 57mm and depth up to 23mm so that should not be a problem either.